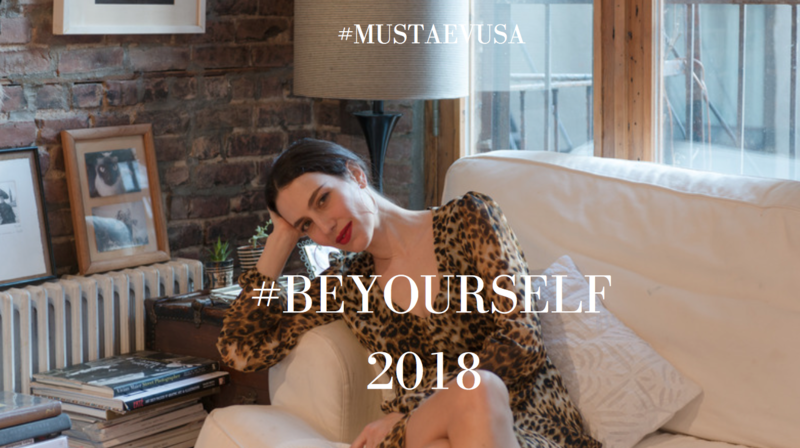 Home / Be Yourself "New Year"
When do you feel at most like yourself? Do you think 2018 will be different? I’m not quite sure to be honest. I feel very much like myself whenever I am with the kids, doing mom stuff. Talking with them about their day, making dinner, and eating on the floor. We have a very relaxed household, and for me it’s the same manner as playing the role as a mother. I also feel very true to myself whenever I can go out and have fun. That break-time when I don’t have the kids, I like to spend time prepping myself for a fun night out. There is a fine balance between the two, as if they complete each other. I enjoy each situation more, when I can balance the two equally. The new year I hope to continue feeling true to myself at every given time whether with my kids doing mom stuff or when I go out and have fun. Dressing up and transforming from simple to more creative makeup concepts is very dear and makes me feel good about myself. How do you apply your identity and ways of being yourself, to your kids? Being yourself is all about authenticity and individuality. I try to teach my kids that being yourself and staying true to who you are is more fulfilling than being somewhat of a follower. To me, a lot about being yourself is also where you come from. My children speak American, I am; however, Greek. I try my best to teach them about my own culture, spending month long vacations in Athens, and keeping jars of Greek sand in my house is a way of doing that. Would you say that being an actress has affected you in how you live? Oh, definitely! In terms of lifestyle, a lot of the things I own is due to my choice of career. 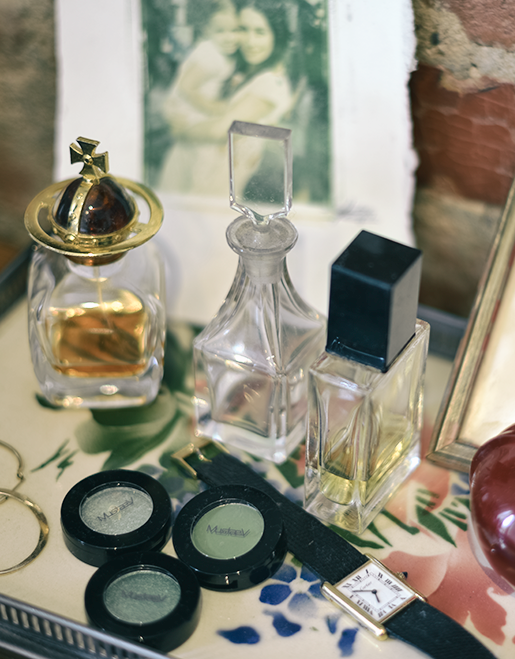 I spend a fair amount of time collecting vintage pieces from thrift stores, and most of what I find I always think can be used in a photo-shoot, or on-stage. The clothes that I wear and how I act can sometimes be very theatrical. The world is like my stage sometimes, and I like to make the most of it. I live in an apartment where I feel inspired, and very at ease. It allows me to have some downtime, and when I am ready to walk out the door, I take some of it with me. That is, of course, whenever I am not in a hurry. As much as I love collecting vintage clothes that stem from different time eras, with its colors and prints, I usually end up wearing black. For fast mornings, you need fast decisions. I don’t have the time to plan my outfits accordingly. It is part of the charm though, if you ask me. 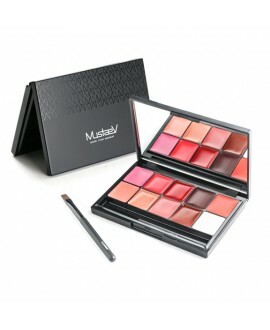 Easy portable brush set, containing 6 individual collection brushes. Perfect if a simple touch-up is needed when on the go. 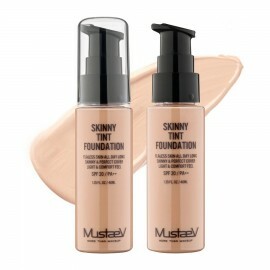 Redefining the foundation, rouge, lips, eyes, and brows for the ultimate long-lasting look. 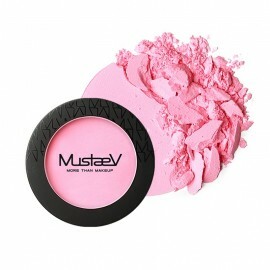 MustaeV has created 56 single eye shadows for the individualist. The “Antique Gold” shadow has gold tones, infused with radiant white and gold glitter, that provides a velvety smooth application. 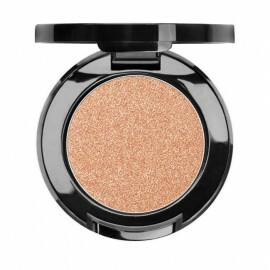 The silky textured shadow, with shimmering micro-sized pearl glitter particles, gives a sparkling luster.